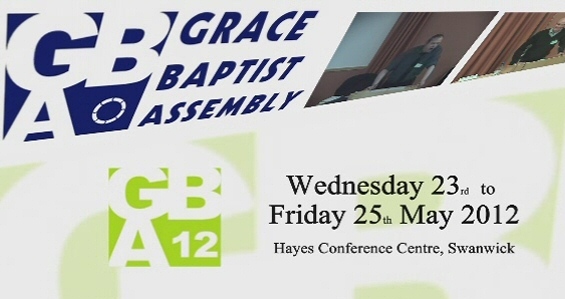 In 2012 the Assembly gathered at the Hayes Conference Centre in Swanwick from Wednesday 23rd to Friday 25th May. Keith and Pauline Johns were our hosts. We had 136 people present. The Assembly leaflet can be found here (PDF). 55 churches formally registered their support for GBA 2012. The names of these churches may be found on our registration page, which also contains a map showing their locations. A number of small exhibitions from Christian organisations were also present as shown on the exhibitors page. A summary of the 2012 Assembly on the blog of one of those attending may be found here. Most of the talks are available as MP3 files and may be accessed by clicking on the red talk titles in the timetable below, or via the “listen” menu at the top. Clicking on a speaker’s name will take you to the speakers’ church or organisation. Photos of the Assembly may be found on our Facebook page. The committee welcome suggestions for topics at future Assemblies. Please use the contact form to send them in.